It’s hot outside, but that should not keep you from bringing the party outside and including some bold and spicy dishes as well. 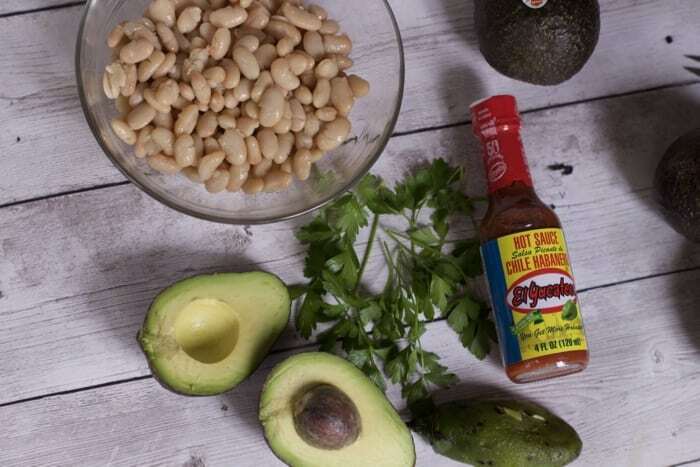 Most people love a good guacamole in the summer, so we have taken it up a notch with the ingredients and the spice level with this great last-minute avocado and bean dip. Have last minute guests? No worries, you can put this creamy and easy appetizer for a crowd together in just minutes. If you have a food processor than your taste buds will explode even before you put this out for your guests to enjoy. 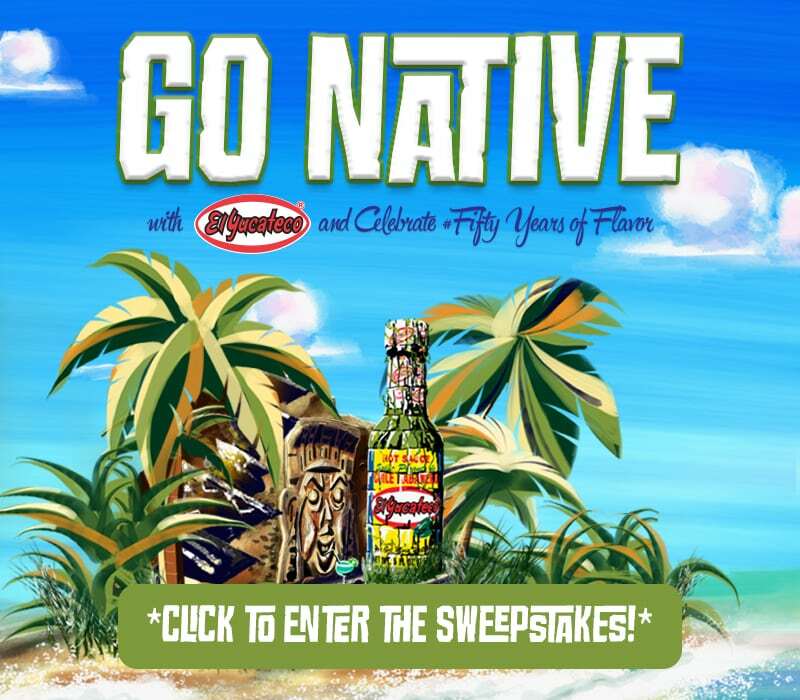 It’s El Yucateco’s 50th Anniversary and we want to help you celebrate summer and outdoor living to the fullest by creating deliciously BOLD, UNIQUE AND FLAVORFUL meals everyone will remember. Trust me everyone at your party will remember this dip and the explosive flavors it creates in your mouth. 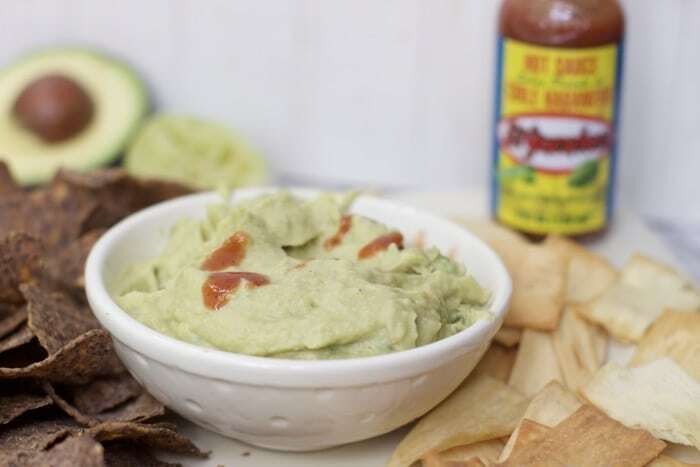 Did I mention just how easy this Spicy Avocado Bean Dip Recipe is to make? You won’t want to buy store bought dip again. 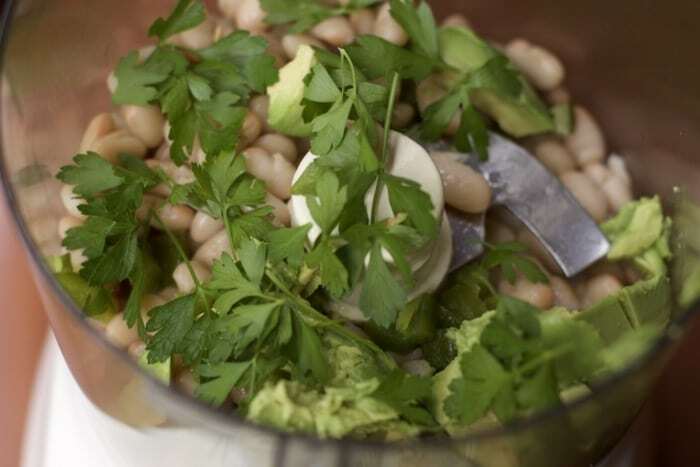 With only a few ingredients, you might already have on hand, you can whip this up in minutes. Ready for the highly technical instructions? 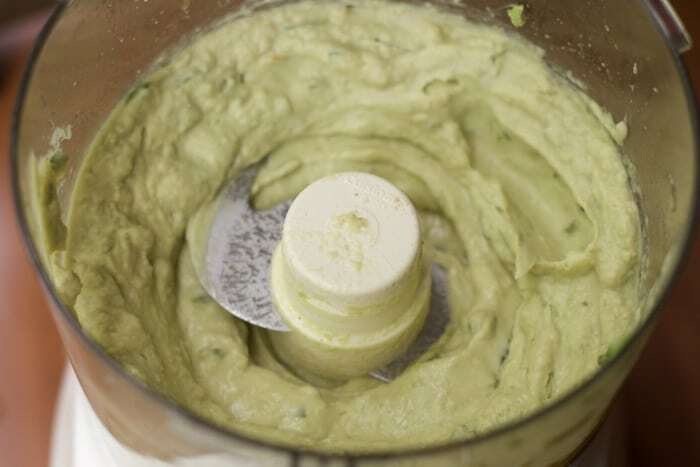 Simply dump all the ingredients into a food processor and process until smooth. Now for the hot sauce component. 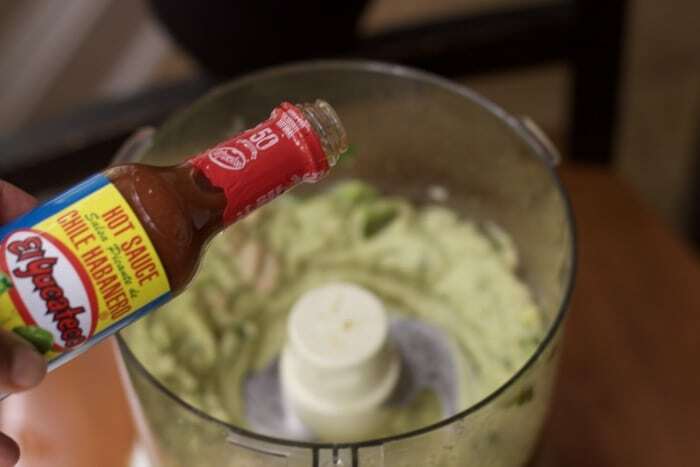 Not all hot sauces are created equal. 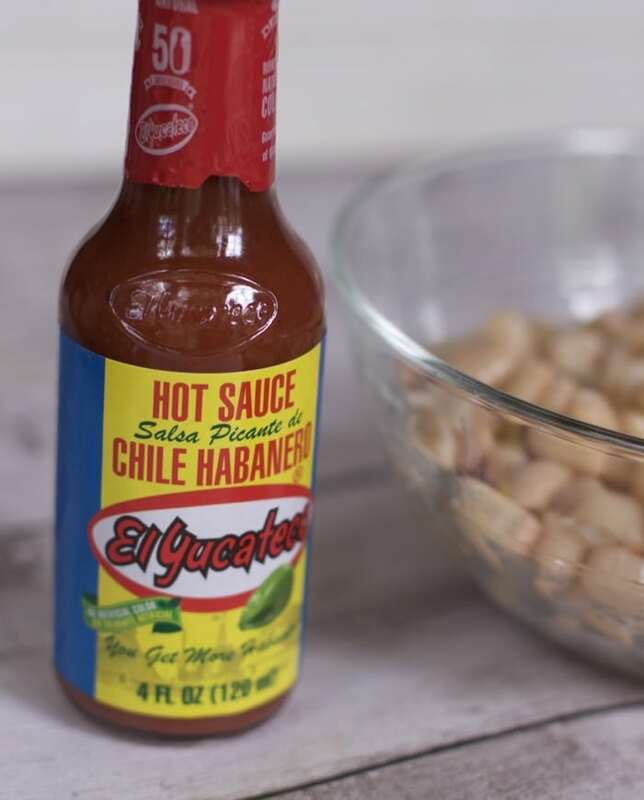 El Yucateco has been around for 50 years and you can choose the level of spiciness. Be sure to taste test this for extra seasonings and spiciness. I added 1 1/2 avocados since our family loves guacamole and the jalapeno was pretty large. Next time I might use half of a jalapeno. 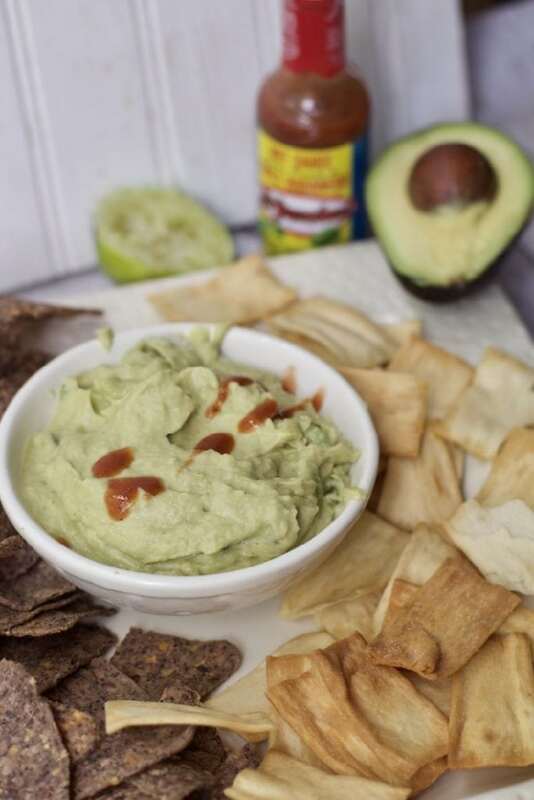 Serve this tasty dip immediately with tortilla chips, pita chips or veggies. 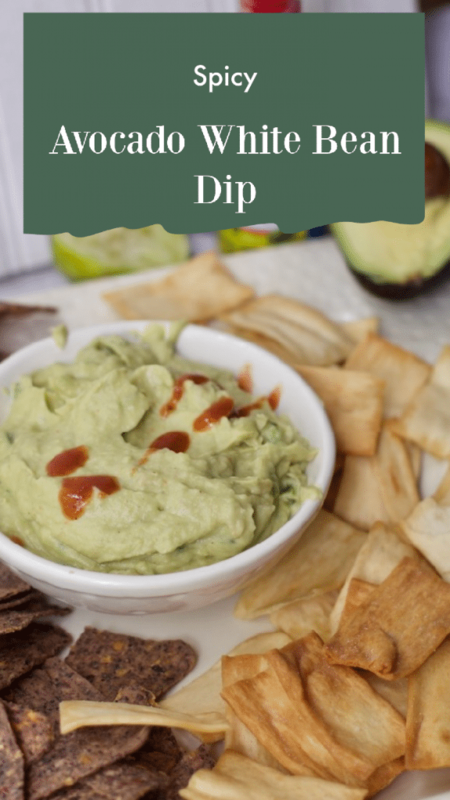 I also made this dip recipe several hours before the rest of my family came home, I wrapped it tightly with plastic wrap and it did not brown out! 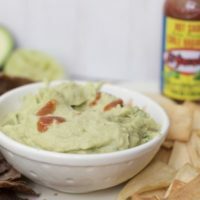 If you want to add a little more flair to this dip, taste test again to be sure it’s not too hot, and add an extra drizzle of El Yucateco hot sauce. Adjust for salt and additional seasonings to taste. Serve with tortilla chips and/or pita chips.